The Polarion Abyss ‘S’ is actually a diving lamp but provides great illumination for early morning hikes in the dark. Very often we start our days pretty early to catch the sun come up. As a general rule it takes us at minimum 30 minutes to set up the camera equipment and laptop depending on which system we are using for that particular shot. This means that we are hiking to the shoot location an hour or more before sunrise. 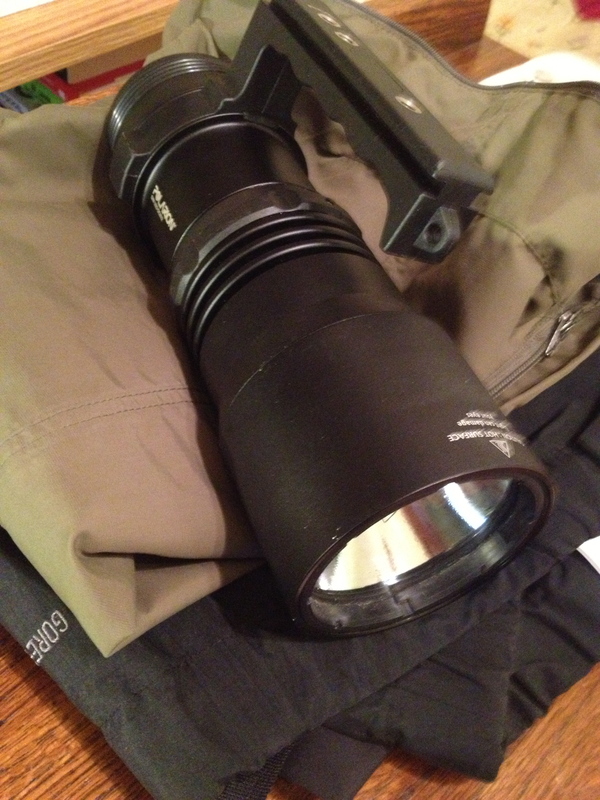 When we hike at night or early morning we carry Polarion Abyss ‘S’ flashlights. Polarion is based in San Diego, CA and makes some of the worlds most powerful illumination instruments, largely for the U.S. military. Although the batteries only last 30 minutes on high power or an hour on low, these lights will light up an entire forrest. We carry extra batteries if the hike is longer than one battery life. This illumination is key because so many animals feed in the early morning hours. We have run across elk, deer, and ram on multiple occasions. In addition to the Polarion dive lamps we wear headlamps for hands-free light in the field. On early morning drives we use several auxiliary lights mounted on the front and rear of the truck to illuminate the road. 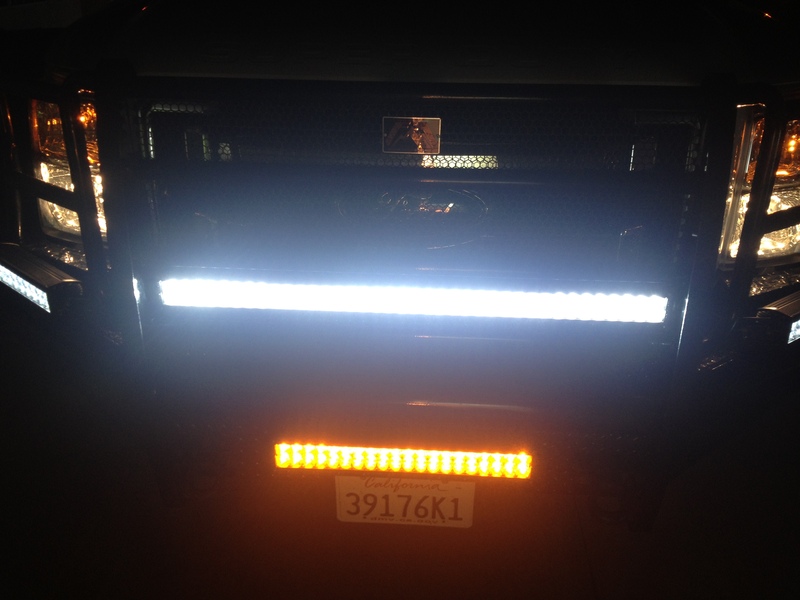 We have some LED bars and extra foglamps front and rear to increase our visibility from both inside the truck and to others who may be on the road externally. In addition, we equipped the truck with an ultrasonic pulsating sound that warns large animals that we are present. The sound is supposed to be unpleasant so that the animals avoid the truck and run the other direction. It is faintly audible to humans and we can activate the sound for continuous noise via a switch on the dashboard. 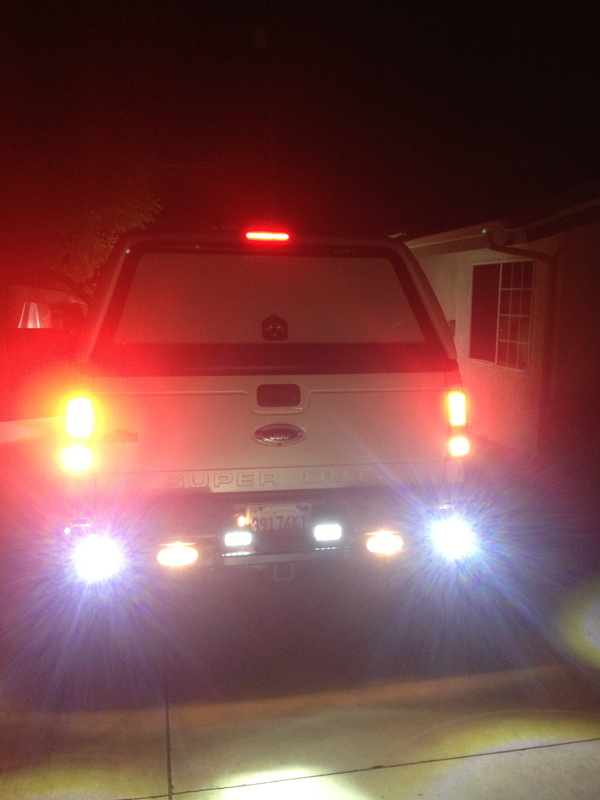 Front of the truck, lower amber light is a foglight.